Welcome to the PRBSA website! 2019 Spring Registration for Baseball and Softball is now closed. 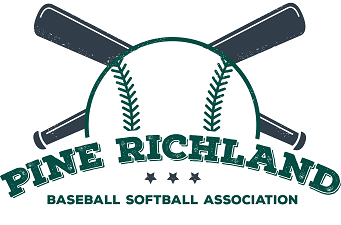 However, if you just heard about PRBSA and/ or have an interest in playing in one of our 2019 Spring Baseball or Softball leagues, please e-Mail the corresponding league VP listed below. We may still able to accommodate you on one of our teams. PRBSA is excited to announce our Spring Spirit Wear Sale, just in time for the spring season. We are using a new vendor for this sale, so there are more options for apparel and accessories than ever before! We have one link for baseball and one for softball. The sale will go on through April 26th with the goal of all merchandise being delivered by April 30th. Shop today and support your favorite athletes all season long. Please note that by clicking the links below, you will be leaving www.prbsa.com and going to a 3rd party site for the Spring Spirit Wear Sale. As we have done in recent years, PRBSA has officially made the decision to move all tournament & travel team tryouts to the Fall. This will allow teams to work together longer before starting their tournament season. This will also allow winter training to begin the season, rather than conclude it. This timing shift also helps with some logistical challenges such as uniform timing, early season tournaments, vacation schedules, etc. For the 2019/2020 season, we will conduct our 11u and 12u tryouts in July. This will allow for a more robust fall season for these teams and better align with other local AAU tryouts. Below is a list of important information as it applies to the tryouts and upcoming seasons. We make every effort to place a child on a team that wants to continue their baseball season in the summer. However, purely due to numbers, there may not be roster space on a team or enough interest to create an additional team. That being said, there is always the possibility of “cuts.” Once again, we strive to prevent this from happening and in some cases we may combine age groups or try to assemble a team in the following weeks. In the case in which a team has an incomplete roster based on the number of kids that tried out, that team will have the option to add players without a try out to fill their roster. Once winter training begins, in the case in which a player makes a team but cannot fulfill their commitment for the season, there will be a supplemental tryout in the Spring for any kid that wants to potentially fill that spot. Only in the case in which there is a roster void will there be a tryout in the Spring and it will be specific to that team and number of roster spots available. If there would be an opening, the league would communicate that to kids in that specific age group that are currently registered for in-house baseball. Any child registered for in-house baseball in that age-group can choose to try out for this roster spot, even if they are already on another PRBSA tournament team. Please arrive to check-in at the field starting a ½ hour before your designated tryout time. Please do not have your son wear their tournament hat or jersey or any shirt/hat with their name on it. The process involves a one day tryout combined with evaluations from your child’s tournament coaches from the previous year. The tryout will consist of various drills and skill exercises to rank the kids compared to their peers. This will be done by independent evaluators. It is possible that there may be parents from your child’s age group involved in the tryout but they will solely be helping run the drills and not involved in the evaluating. In addition, feedback and rankings will be considered as provided by the coaching staff of your child’s tournament team from the previous year. In the case that your child was not on a tournament team the previous year, they will be solely evaluated based on how the rank at the tryout. 11u and 12u must use bats that are legal per Atlantic Coast League rules. PRBSA will continue to operate on the 4/30 age cutoff date for its tournament teams. It is expected that if your child makes a team selected in the Fall, you will be committing to this team for 1 year. Children that make the teams are required to play in-house PRBSA Spring baseball (with the exception of the 11A and 12A travel teams) and attend at least 50% of the games. Parents will be expected to complete volunteer duties for the in-house season as well as our host tournament. It is expected that your child will participate in their tournament team’s Spring and Fall activities and Winter training. The primary tournament season will continue to be in June and July. It will be critical to communicate any planned vacations with your child’s coach and an attempt should be made to schedule any summer vacation plans around the team’s tournament schedule. Playing time will not be equal on the teams. This pertains to innings played in the field and the positions. There will be a variety of costs associated with these teams such as tournament entry fees, uniforms, winter training fees, travel costs, etc. Keep in mind that the travel team (11A and 12A) costs will likely be anywhere from $1,000 to $3,000. Be prepared to reimburse your child’s coach for these various expenses. Please be aware that many of these fees need to be paid up front. Expenses paid for tournament/travel teams are non-refundable. We expect to have all teams finalized by August 1st. Some teams may be finalized earlier than others. Contact Tony Aiello at antonioaiello@hotmail.com.